A view to kill for! 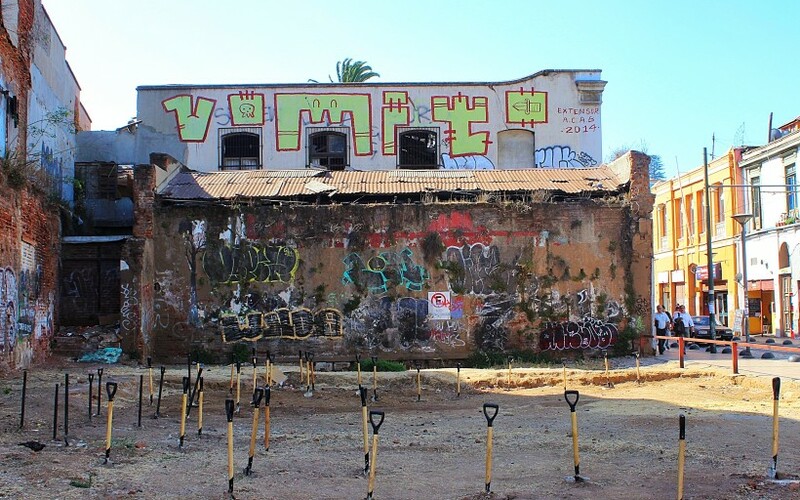 Valparaiso, January 2015.
ña is like Valparaisos boring older sibling. Fun and detailed mural by Ella Pitr in Valparaiso. 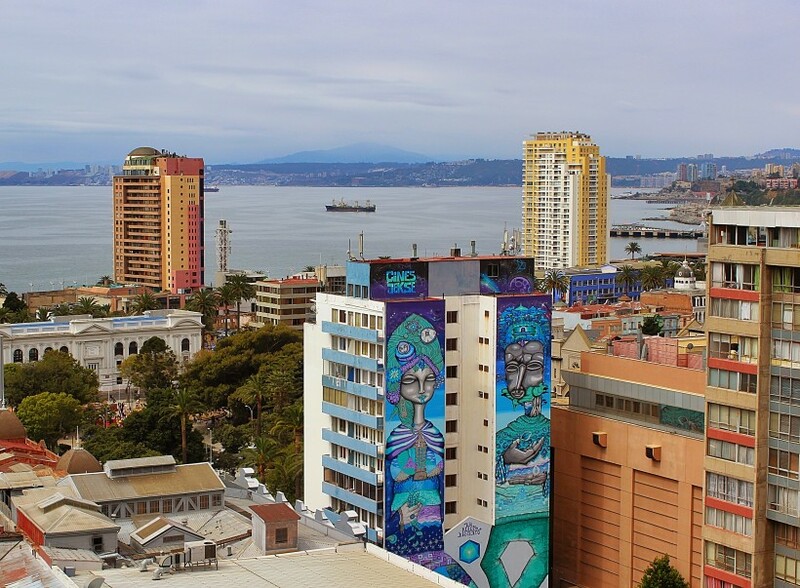 Valparaiso is bigger than one would think, and it’s definitely worth checking all of it out, not only the most touristy parts. A tram goes by the coastline from the harbor (Puerto) all the way to Viña del Mar. You pay for the tram either by buying a rechargeable card or single tickets at the stations. It’s cheaper to buy a card and charge it with 6000 pesos, around 10 US dollars than buying singles. That will get you 3-4 trips depending on the time of day, it’s more expensive on peak traffic hours. Blip your card when entering the platform and then again when exiting, to be able to get out of the station. 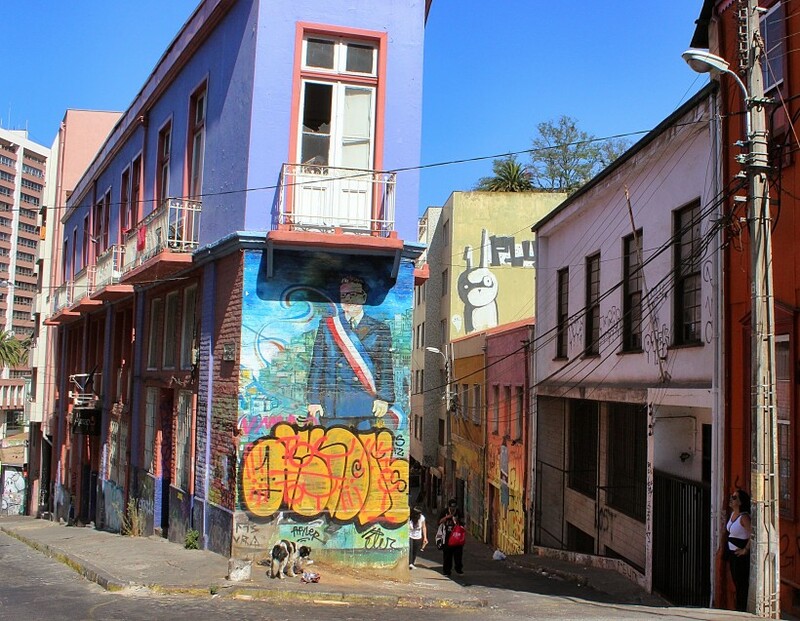 By the tram stations of Puerto and Bellavista you’ll find some great spots and most working elevators to the hills. By the Barón station you’ll find a huge mall and supermarket, they sell everything you might need and there’s loads of ATM’s from different international banks if you have trouble with regular ATM’s. Otherwise the ATM’s are the same as in Santiago and you shouldn’t have any trouble with VISA or MasterCard. It’s not the photo that’s crooked, it’s the whole town! 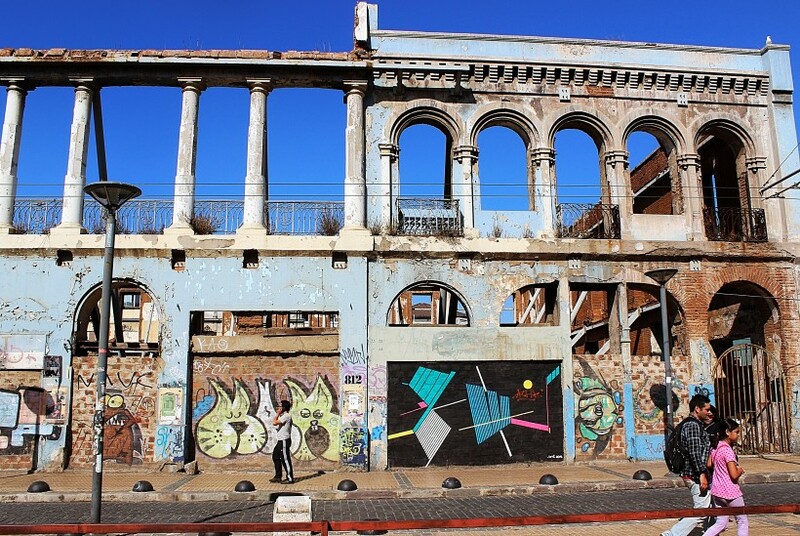 Valparaiso, January 2015. 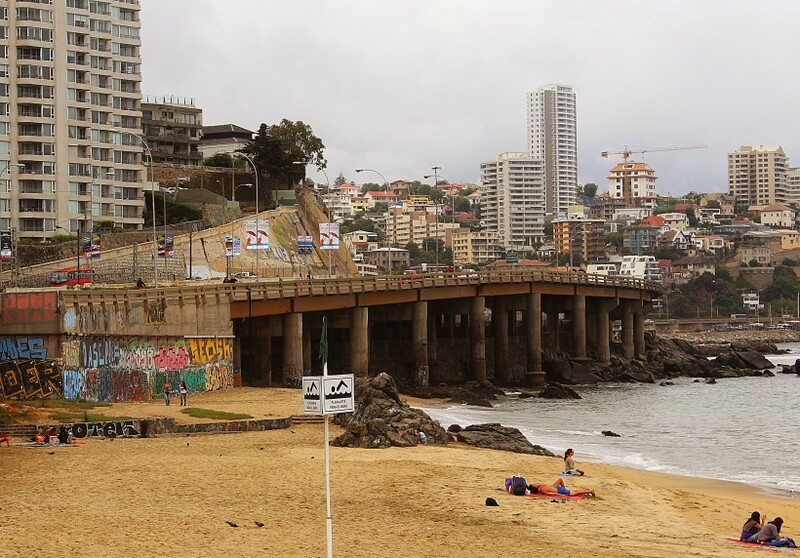 The flat part of Valparaiso is the area closest to the coastline. Here you’ll find most of the shops and grocery stores, the area around Plaza Sotomayor is charming and full of cafés and restaurants. If you’re in need of great coffee, try Melbourne Café on the corner of Errazuriz and Sotomayor, cozy spot and super friendly staff. 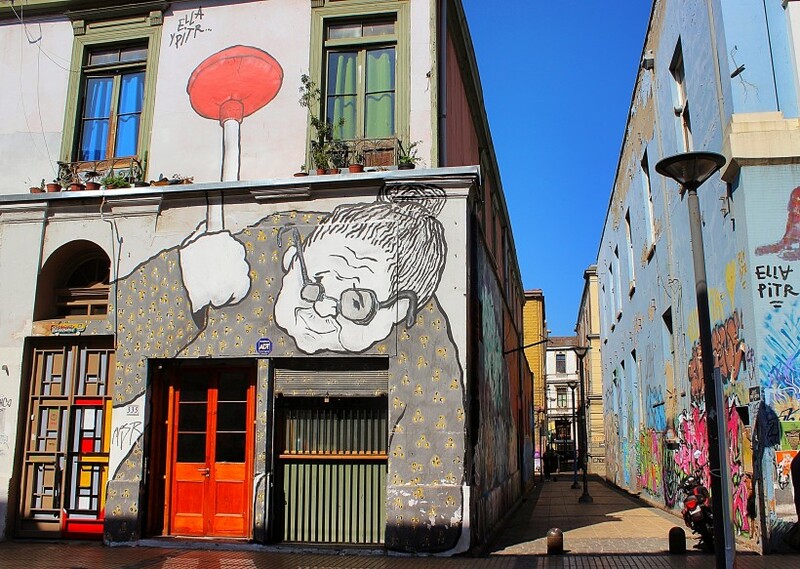 In the area around Mercado Puerto you’ll be able to get good lunch deals on local specialties like fish and seafood, simple restaurants but really great food! Abandoned ruins with art on them… be still my heart! Valparaiso, Puerto. From Plaza Sotomayor you’re only a couple of blocks from the elevator (Ascensor) El Peral, the best one to take up to Cerro Alegre. There are several elevators to use, although they are old so sometimes they’re closed for repairs. You have to check them out even if they are closed though, there’s loads of graff on the walls around them! By the highway from Viña del Mar to Valparaiso. 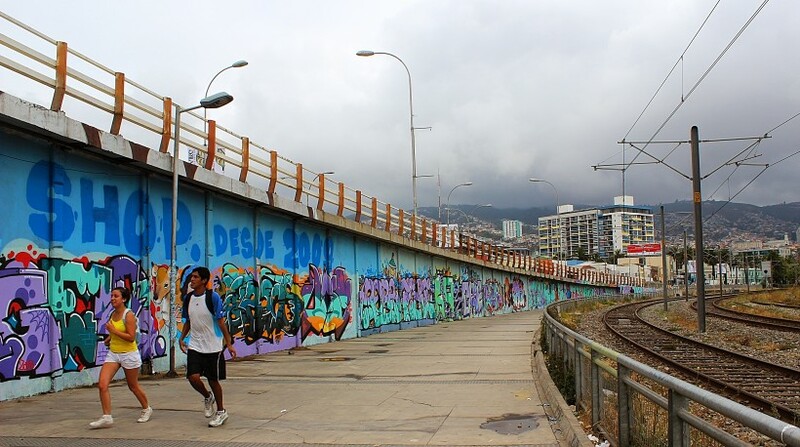 By the tram tracks at Barón station, Valparaiso. Another Ella Pitr by Plaza Anibal Pinto, gorgeous! 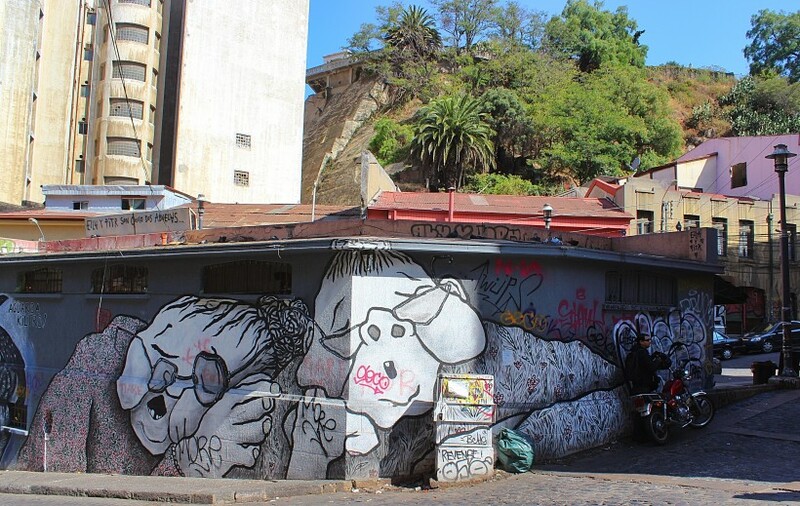 By the Bellavista tram station, Valparaiso. Bombed and bombed! January 2015. 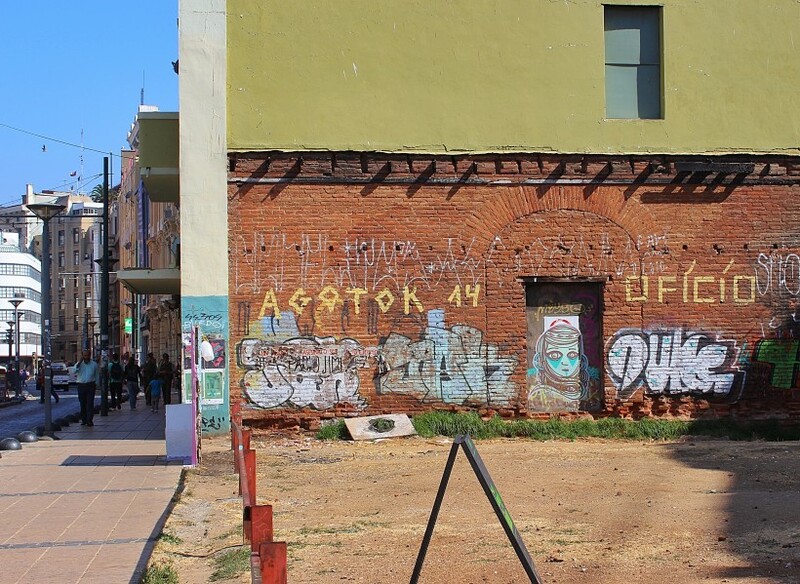 Brick walls, perfect for public space take over! 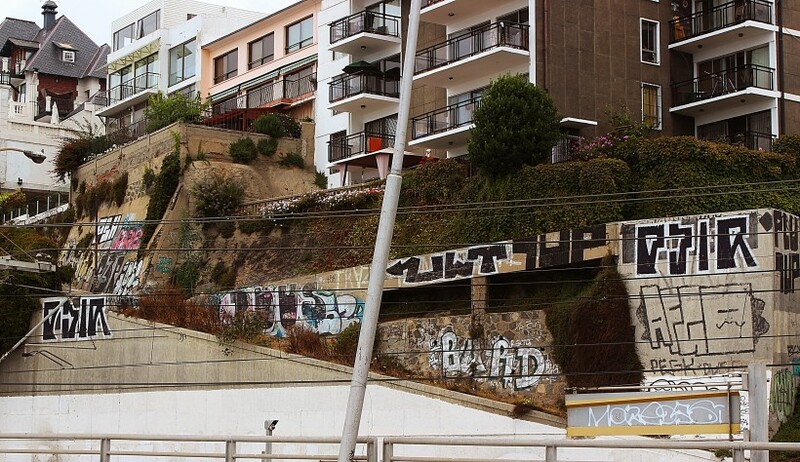 By the highway from Viña to Valparaiso, January 2015. 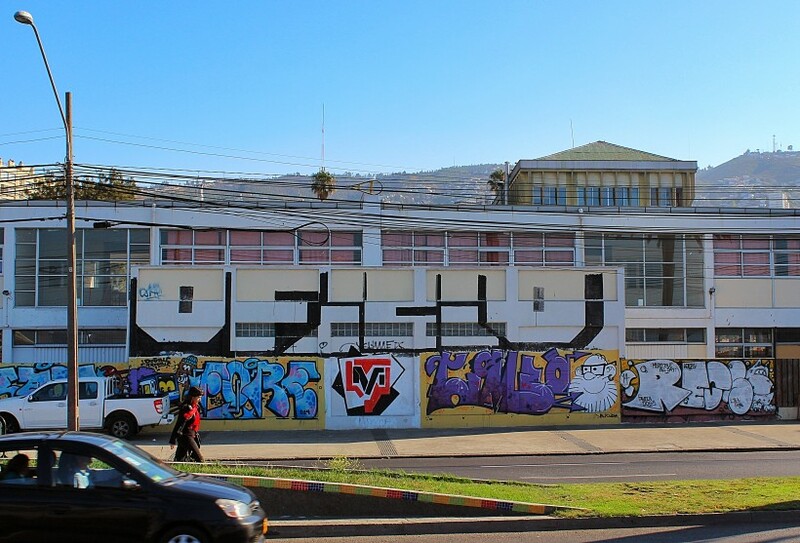 This entry was posted in Valparaiso and tagged all you see is crime in the city, chile, graffiti, public space take over, street art, tags, throws, valparaiso. Bookmark the permalink.